It’s the morning after and I’m feeling pretty pleased with myself. And for good reason. 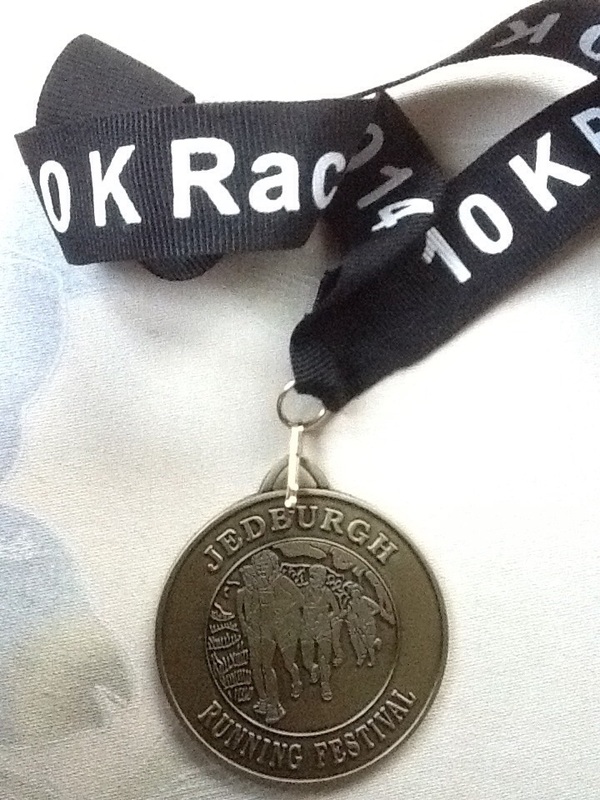 Yesterday I ran the best half marathon I’ve run for quite a while, despite running it over quite a challenging course. 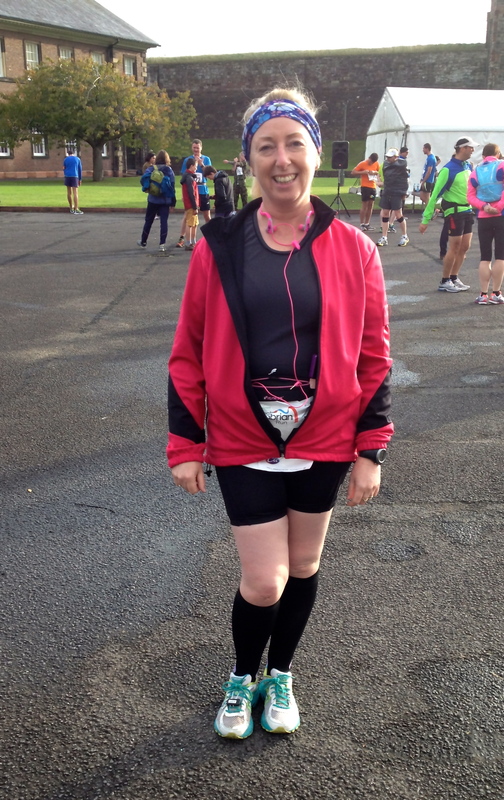 In May, when I ran the EMF Half in Edinburgh – it was billed as one of the fastest half marathons in the UK. It was mostly downhill or flat and so I was looking forward to beating my PB of 2:22 achieved at the 2012 Great North Run. In reality I had a hard race, buffeted by head-on winds as I ran along the promenade that formed most of the route and psychologically hampered by the two way running lanes of the last three miles. I crossed the line in a disappointing 2:34. I buoyed myself by reminding my running ego that I had been injured for most of the preceding six months and that any finish was good, but I was embittered that I’d effectively squandered a chance to better that PB. Training continued through what was one of the hottest summers on record, with almost constant great sunbathing weather and high humidity, with me having to resort to splitting long runs so that I could benefit from the cooler mornings and evenings. Training became inventive, with treadmill runs under electric fans – trying to make them as cool as possible. I stuck to a beginner’s programme in the belief that it was that which had helped me to my best finish and also that over-training could have contributed to my injury last year. I needed to start again. My August half at Fleetwood was my biggest disaster yet, with me falling foul of two asthma attacks as I ran in high humidity and soaring temperatures. At least I finished. 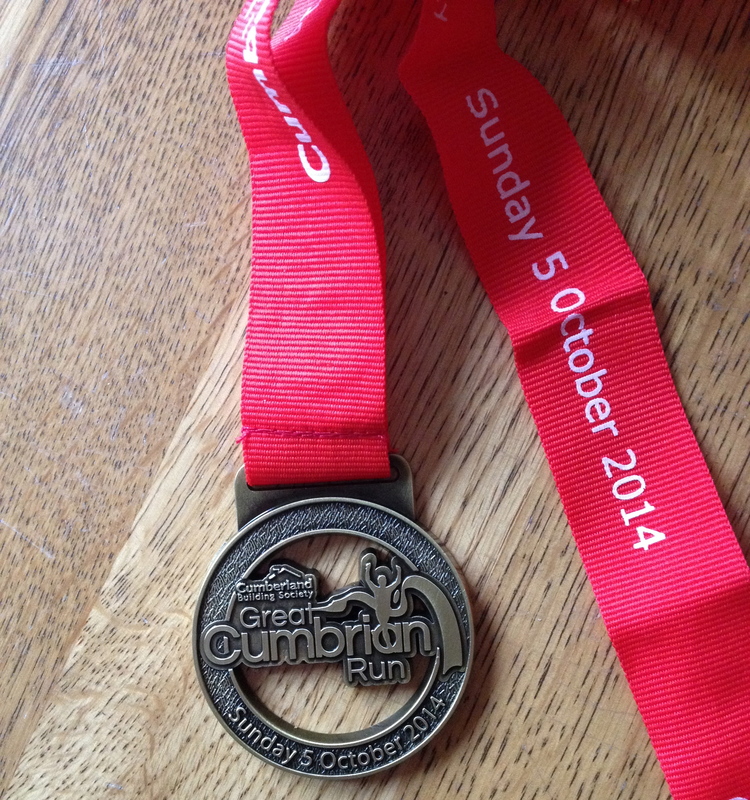 So this, the Great Cumbrian Run, was my last chance for this year to prove to myself that I am worthy of the title ‘runner’. No big deal then. I was cautiously optimistic in the weeks leading up to the event. Once the weather had started to cool down I no longer found the humidity a problem and I was no longer struggling to catch my breath. 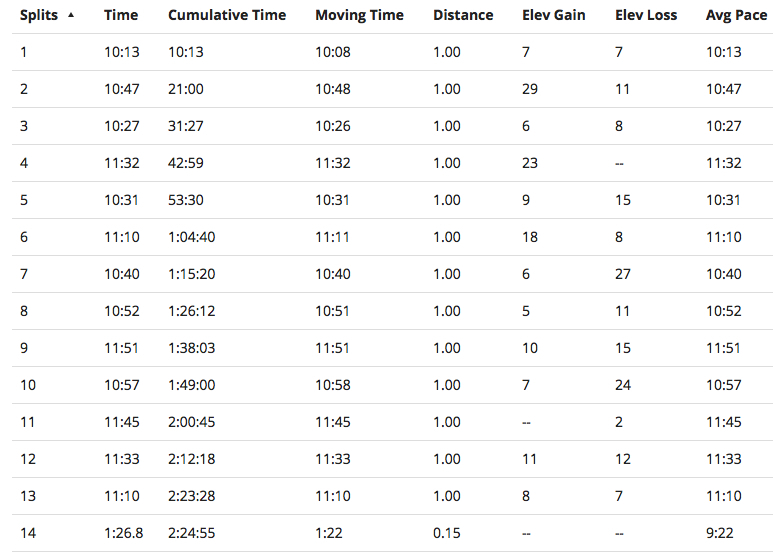 My last long, long runs of 12 and 14 miles were textbook, with no problems. Last Monday’s 5 miler was a breeze. I felt strong and comfortable. However, in the back of my mind, I felt sure some disaster would strike. Imagine how carefully I ran my last trail run, judging every loose stone as a possible source of injury! No wonder it was slow! I couldn’t even bring myself to run the trail on Friday, choosing the treadmill instead. I wasn’t prepared to take any chances. I’ve mentioned before that I’m not good at carb-loading prior to an event. I tend to eat carbohydrate rich foods anyway, so I just eat fairly normally leading up to an event. My last evening meal was a thrown together Linda McCartney Mozzarella Burger, a few chips and a massive salad, hardly designed to channel my inner Paula Radcliffe. My breakfast was better, it made up for everything, consisting of porridge, banana and acacia honey. That was rocket fuel. Paula would have approved, I’m sure. We arrived at Carlisle at 8:45, parked up a good walk from the start and finish, and we went to the castle to collect my number and timing chip. It’s a great idea, starting the race from inside Carlisle Castle. 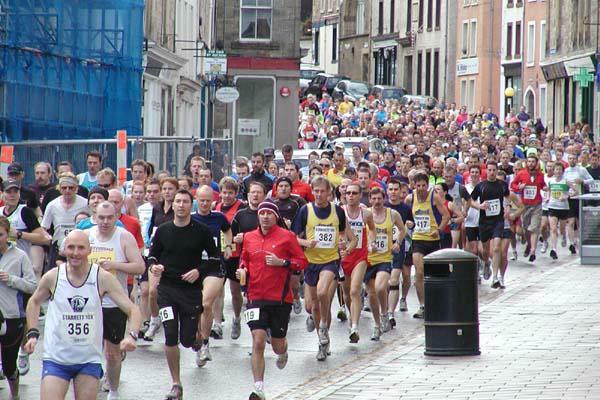 There is no better feeling than running down the cobbles that have passed from Scottish to English ownership many times in their life, into Carlisle’s pedestrianised city centre past hundreds of supporters. 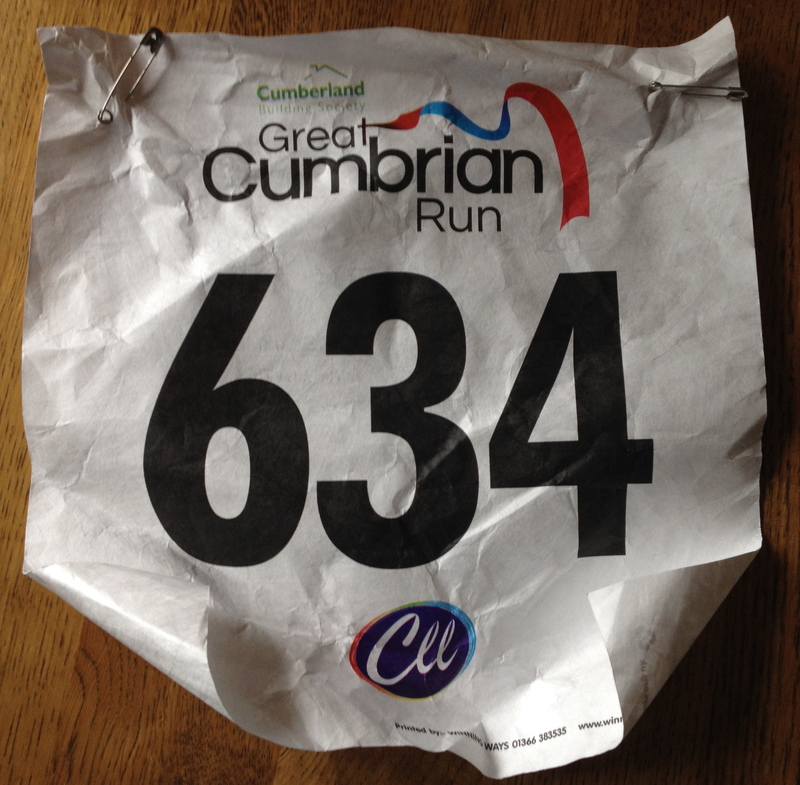 Considering I’d signed up on New Year’s Day my number was still 634; it’s a popular race. I spotted numbers beyond 1400, so I’m guessing there were around 1500 competitors on the day. Ready for action! Waiting for the off at the castle. Inside the castle’s quadrangle there were the usual line of unisex portaloos, possibly 20 of them lined up along one wall. It meant only a very short wait for toilets at any point in the lead up to the off. I went twice. You can never be too sure. There was the usual warm up which about half the runners joined in with and the rest, like me, just did their own thing. It started to look like an outing of the Ministry of Silly Walks. John Cleese would be proud. The route, through Carlisle city centre, out on the London Road and then through the villages of Cumwhinton, Wetheral, Scotby and Botcherby before heading home. At 10.04 I crossed the line, keeping well back out of the way! My race strategy was just to run steady, keeping to a 4:1 run:walk ratio. I was on for 11 minute/mile pace and I knew, from experience, that I’d start faster than that and would speed up and slow down during the race, hills dependent! I tried not to worry, but wanted to try and keep my overall pace around 11 minutes per mile. My Garmin was set up so that I could see my average pace, my mileage and my time and then I locked it so that I couldn’t turn it on/off accidentally! I know myself too well. My pace was being aided by Jeff Galloway’s LoLo beat-synched music in his Half Marathon app I’d used throughout my training. I’d spent the evening before choosing my music carefully, with plenty of rock classics such as Iron Maiden’s ‘Run to the Hills’ and Bryan Adams ‘Run to You’ – I think you get the idea. There were some odd choices in there as well, a few Glam Rock classics to make me smile and OK Go’s ‘Here it Comes Again’ so that I could do the hand movements and cheer myself up mid run. The most important thing was though that every song I chose would be sped up or slowed down slightly so that the beat coincided with my foot fall. It is a perfect way to run, in my opinion, and has helped me learn how to pace myself. I hit 3 miles at 31:27. Having got there mostly on the climb, I was happy at that. However I knew that after this point I would be climbing hard for some time. I wasn’t wrong and I was devastated when I realised that the one hill I’d remembered wasn’t one hill at all, it was a succession of hills between Carleton and Wetheral. Despite that I managed to hit 6 miles in 64 minutes. My quads were starting to ache a bit, but I felt good and the rest of the route would now take us mainly downhill. At this point last year I was in dire straits, struggling with foot, knee and hip pain. This year I was running well and I felt as if I was just in over-taking mode, passing people I’d lost sight of earlier. This is one of the biggest advantages of run:walk – those walk breaks re-engergise you. I tried hard to only walk when I was told to, although a few climbs had us all walking up them! After crossing the M6 for the second time I looked at my Garmin, surprised to see that we were at 9 miles. I was tired on hills, but I was running well on the flat, sometimes ignoring the call for a walk break and running on. The last two miles weren’t easy, but they were a lot easier than last year and I started to overtake a lot of tiring runners I’d been yo-yoing with for the last few miles. As I came out of Rickerby Park I knew I needed to lift my pace a bit if I was going to get close to my personal best. I passed two runners who were getting medical attention, one looked as if she’d simply conked out and another who had clearly fallen on uneven paving slabs and split the skin on his cheekbone. I was pleased to see him heading for the finish as I left the finish area – I’d have done the same. I found running through Bitts Park a bit of a nightmare, mostly because of the runners who had finished and were leaving along the same route we were still running on with all of their families. We didn’t need much room, but I would have appreciated a cordoned off passage for us, clear of strollers! As I neared the end of the path a council van pulled up in front of me and someone opened the passenger door, completely obstructing my way! I could not believe it and I swore loudly as I passed the driver’s open window. The very last thing you want, having run 13 miles, is to have to dodge and weave your way to the finish line! I did though and entered Sheepmount Stadium with my best half time of the year beckoning me to the finish line. I crossed it comfortably in 2:24. I was relieved and ultimately very pleased with myself. When I met up with my hubbie, having collected my lovely medal and almost empty goodie bag (honestly, if someone had just handed me the juice I’d have been less disappointed. A bag ‘full’ of leaflets was a bit of a let down) he remarked that I wasn’t even red in the face and that he’d watched me run across the bridge with ease. He even went as far as to wonder if I could have run it faster. Brave man. Post run I had learnt from bad experience and asked hubbie to bring some sustenance with him (I’m so pleased that didn’t rely on the contents of my goodie bag!) and so had a soya milkshake and some biscuits as I walked back to the car, quite slowly! Once home we had some cheesy beans on toast and I enjoyed a hot bubble bath, followed by the welcome application of BioFreeze gel. I was good to go. We celebrated at the local pub with several pints of real ale and the company of friends. After trying to watch TV we both ended up tucked up in bed at about half 9! Worth it, just for that lovely medal! This morning there is a little stiffness in muscles, but not much and that will soon wear off. My shoulders are aching more than anything, but I have a full body scrub and a facial booked at my local salon in a couple of hours. What could be better? 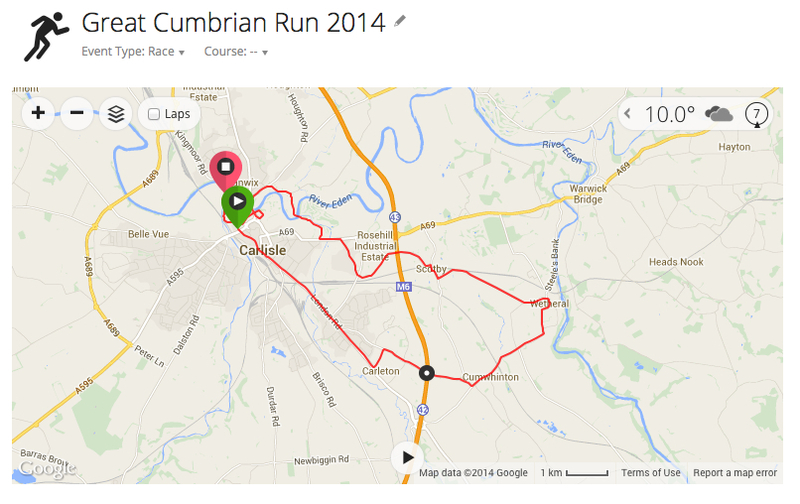 Considering the hilly nature of the route I’m really pleased with my time. I came home feeling that I’d done the best I could and still got within 2 minutes of my personal best on any half marathon route. I feel that a rest before picking up my training for my last planned race of the season would be appropriate.